Type “classical music to” or “classical music for” into Google and you’ll see that many people already know that classical music is great for studying, falling asleep, and listening to at work. However, recent studies conducted in several countries also reveal that it is the best music genre to listen to if you want to fight various health conditions and promote mental and physical well-being. Check out these 6 surprising benefits of listening to classical music. It can lower your blood pressure: A study out of the University of San Diego had participants perform a challenging 3 minute arithmetic task. Afterwards, they were randomly assigned to listen to one of several styles of music (classical, pop or jazz) or silence. The group that listened to classical music had significant lower post-task blood pressure levels than not only the group who listened to nothing, but also the other music genres. Classical music can help manage pain: Music therapy has been around since the 1800s, but recent studies show that the varied pitch, melody, and rhythm in classical music can stimulate responses that relieve pain, including emotional pain. In fact, some post-anesthesia units play classical music to improve comfort and reduce pain. The music helps the person focus on the sounds rather than the physical pain. A study out of the Journal for Advanced Nursing also showed music can relieve chronic pain. It can lead to enhanced mental alertness and memory: A study from Northumbria University asked participants to complete a series of tasks while listening to either music or silence. The group who listened to Vivaldi’s “The Four Seasons” (particularly “Spring”) were able to respond to their tasks faster and more accurately than the group who completed tasks in silence. Classical music fans are more creative and at ease with themselves: An Edinburgh University study looked at over 36,000 music fans around the world. They found that classical music fans (and heavy metal listeners) were more creative and more at ease with themselves than fans of other music genres. It may improve sleep quality: A Dutch study concluded that classical music, particularly harp, piano, and orchestral music, can moderately improve relaxation and sleep quality in adults. A Hungarian team also showed that listening to 45 minutes of classical music before bed helped students between 19 and 28, who struggled with sleep issues, fall asleep. 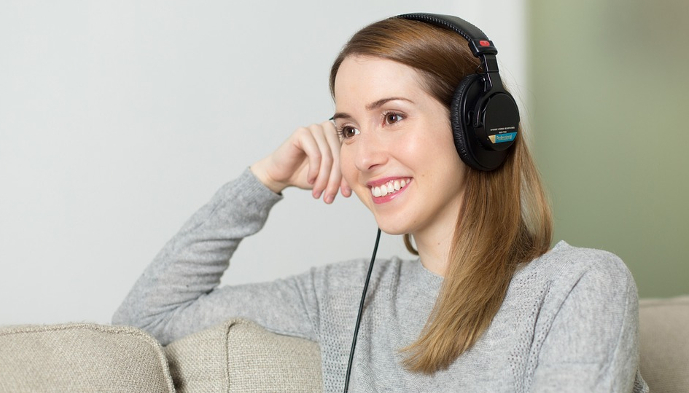 It enhances communication: A study from Southern Methodist University showed that people were more comfortable disclosing personal experiences when listening to classical music in the background. They concluded that the music promoted cognitive expression and an overall relaxed state of mind. This entry was posted in Knowledge, Music and tagged health by Shari Mathias. Bookmark the permalink.